If you’re in addiction recovery, you’re probably haunted by one question over and over: will I relapse again? 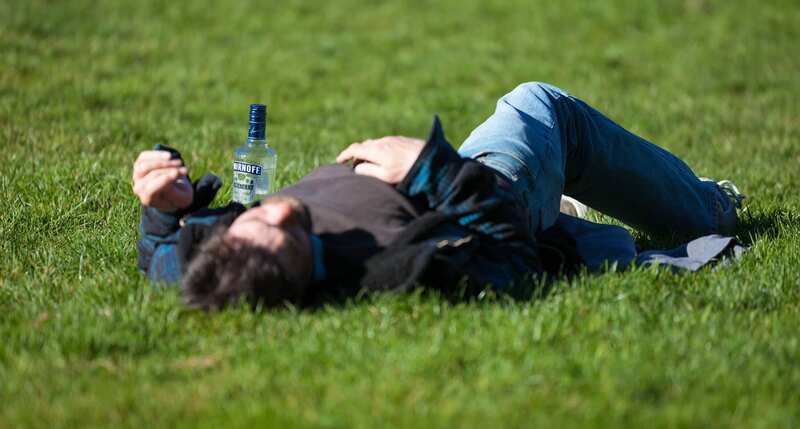 There’s no one-size-fits all solution when it comes to staying clean, but there are some things recovery experts recommend that could go a long way toward helping you avoid further relapse into addictive behavior. “Relapse triggers” are any of a number of emotions, behaviors, or situations that are likely to put you at high risk of relapse. Many triggers are connected to strong physical and emotional sensations. When you’re hungry or tired, you’re more likely to turn to addictive substances or behaviors to soothe those feelings. Healthy self-care (remembering to eat, hydrate, and rest) is key to recovery without relapse. Although anger, stress, depression, or anxiety can feel overwhelming, negative emotions are a part of everyday life. Learning how to manage them with healthy coping techniques like therapy, mentorship, or the help of a support group (rather than turning to addictive behavior to numb them) can help you avoid relapsing. This is particularly important if you have a preexisting physical or mental illness. Mental health diagnoses can make it more difficult to identify healthy coping mechanisms without help from a trained professional. But working with a mentor or therapist equips you with a plan unique to your needs, your goals, and your strengths. As you grow in your recovery, more positive emotions will surface. You may even feel ready for life to “get back to normal”. But be very careful when it comes to choosing where and with whom you spend your time. Experts recommend avoiding the people with whom you engaged in addictive behavior in the past. If you need help building new relationships, find a local support group or recovery meeting. Spend time in places where there is little-to-no temptation to engage in your addictive behavior. For example, if you have an alcohol addiction, avoid bars and nightclubs. Try your favorite park, cafe, or museum instead. It’s a good idea to avoid romantic or sexual relationships within the first year of your recovery. Sudden, heightened emotions – even positive ones – can trigger a relapse. It’s important to surround yourself with people who will promote, encourage, and prolong your recovery. Because they help you avoid social isolation, healthy, loving friendships and family relationships make relapse less likely. When you’re in recovery, every day clean and sober is a victory. But how do you celebrate without putting your sobriety in danger? Do your best to temper overconfidence with a realistic, healthy view of your struggles and limitations. This will help you be more mindful of your relapse triggers, more likely to share them with people you trust, and more likely to avoid them in the future. While you certainly shouldn’t despair if you stumble during your recovery, it’s important to strike a balance. Ask for help when you’re struggling, rejoice when you succeed. Strengthening your faith and recommitting to prayer helps you avoid unhealthy extremes, like thinking you’re invincible during your recovery or reminiscing about “the good old days” in a way that minimizes the pain of your addiction. This sober mindset means you run less risk of hurting yourself or people you love further by relapsing into addictive behavior. Getting support, avoiding isolation, and facing your feelings in a healthy way will empower you to better avoid relapse as you take charge of your recovery journey. Celebrate your victories, no matter how small, with gratitude and humility. Give thanks in prayer each day. Let the people who love you know how important they are to your healing and wholeness. Pour your favorite tea, go for an afternoon walk, or sit down with your favorite movie. 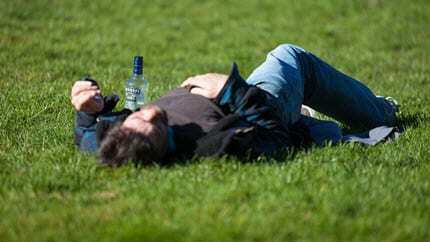 There are plenty of ways to celebrate while keeping yourself sober and safe. Recovery from addiction is never impossible, but getting and staying clean is a lot more attainable with the right support. In fact, addiction research shows that treatment programs can help prevent relapses and decrease relapse rates, particularly if the entire treatment program is completed. 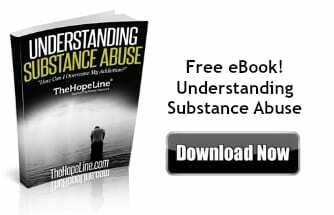 Whether it’s getting help through TheHopeLine, your faith community, a recovery meeting, or a close friend or family member, you can free yourself from past addiction and avoid future relapses. We support people at every stage of addiction recovery. We can help you heal from addiction — starting now. I love my friends and family. I don’t want any of them to struggle, suffer, or feel pain, especially not when I feel like I might be able to help. If you love someone who has a depression diagnosis, it can be difficult to know what to do. After all, you can’t fix their brain chemistry, give them more energy, or change any difficult circumstances in their life. But don’t despair. There are a lot of ways you can help. 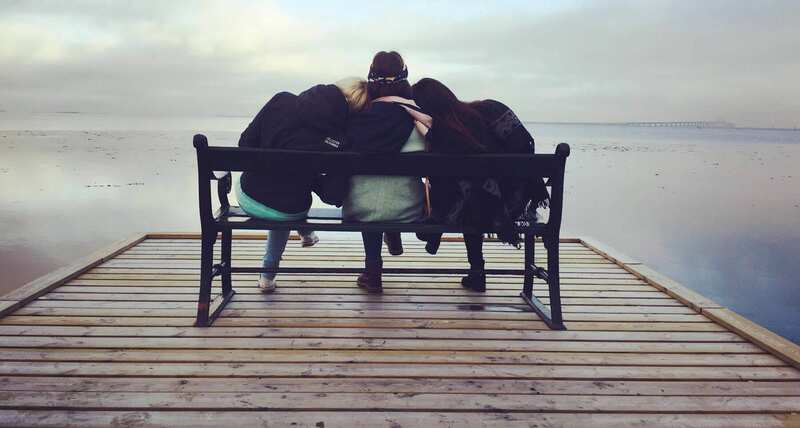 Listening is crucial for the success of any friendship or relationship, but it’s especially powerful for your friend with depression to know they’re heard. It helps counter their feelings of isolation and reminds them that they are indeed worthy of your time and attention. People with depression have often told me that one of the most frustrating things they experience is feeling like it’s “all in their head”, or that they’re just being “too emotional” and overdramatic. 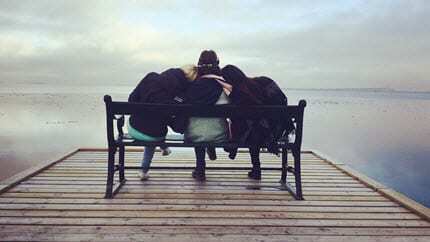 Affirming that you understand why something is sad or frustrating goes a long way toward helping your friend feel more grounded – and less alone. As you talk to your friend, you might learn about specific things that make their depression more difficult. For example, perhaps they feel guilty for not getting everything done on their to-do list because they had a hard time getting out of bed. You could encourage them by letting them know that you understand how hard it can be for them to get going. Let them know you’re proud of them for all they’ve accomplished so far. Celebrate whatever victories you can along the way, however small they may seem on the surface. There are tons of resources out there to help you learn about depression and other mental illness. Doing some research can empower you to be able to better support people in your life with depression. Maybe you and your friend can even learn together by listening to a podcast or reading through a book. Meet for tea or coffee. Watch their favorite movie. Share a meal together. Sure, you can talk about how they’re feeling. But don’t make every conversation about their diagnosis. Remember to laugh and have fun along the way. If possible, silence your phone so you can focus on your friend. Being present can increase their sense of connection with you, which may help to alleviate some of their sadness or loneliness. Text or call now and then just to see how they’re doing. It’s a simple way to brighten someone’s day and let them know they matter. You can pray for your loved one with depression anytime. If prayer is part of your daily routine, put them on your prayer list. Ask them if they need more specific prayer. Next time, you read an encouraging or uplifting verse, share it with your friend to remind them of God’s love and care for their heart and their circumstances. You probably already do a lot of these things for your friends and loved ones. Keep it up! Even choosing one or two of them to do with intention whenever you see your friend will make a big difference. 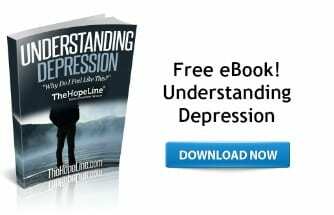 It can seem overwhelming when you friend, loved one, or family member has depression. If you need help along the way, we offer mental health resources, prayer, and mentorship. All you have to do is reach out. Life can be difficult and saddening. Whether you’re grieving, dealing with a tough relationship, or just feel like you have the blues, it’s easy to feel weighed down. I can remember many times when I felt isolated, ashamed, or lonely and had a tough time tracing it back to a specific cause. Sometimes that feeling of heaviness can last for a while. But how do you know if you’re just having a bad week, or if there’s something more going on? What shifts our mental state from “feeling blue” to a depression diagnosis? First, it’s a good idea to know some specific clinical depression symptoms so you can be more aware of when you’re experiencing them. Along with showing specific symptoms like these, people with diagnosed clinical depression experience them regardless of circumstances in their life. If your symptoms are so strong that they negatively impact your life (your grades, your work performance, or your ability to get out of bed or get moving in the morning), it’s definitely time to seek help. Another way to recognize that yours are depressive symptoms is knowing how often they occur, and how long they last. If you’ve been experiencing 5 or more of these symptoms almost every day for 2 or more weeks, it may be time to visit a doctor for a mental health screening. Depending on your diagnosis and the severity of your symptoms, any of several solutions might be recommended. Talk Therapy: Discussing depression with a mentor, therapist or other mental health professional is a great way to understand why you feel the way you do and to make a plan for managing difficult thoughts and feelings. Medication: Medication can help manage the physical side effects of depression and other mental illnesses. If you’re prescribed medication, it’s important to take it exactly as directed and not start (or stop) without a doctor’s supervision. Nutrition and Exercise Plan: Sometimes what we eat and drink can affect our energy levels, which might impact depression symptoms. Your doctor or nutritionist can help you plan meals and snacks that work best for you. Prayer: Faith is a great way to remain strong and hopeful when struggling with depression. While everyone’s experience of depression is a little different, there’s always hope. You don’t have to receive a formal diagnosis to get support when feeling isolated, lonely, or sad. Understanding depression is tough. But managing it (and living a healthy, happy life) is possible. Especially with people in your corner. We are here to support you, pray for you, and cheer you on every day. You can reach out; we’ll be here as soon as you do.